Adnan Pripoljac is youth worker, non-formal education professional and activist working as project coordinator at Foundation Schüler Helfen Leben in Bosnia and Herzegovina. His civic engagement started in high school in Busovača where he was trying to overcome the gaps among students created by “two schools under one roof” phenomena. Adnan is one of the founders of Association of secondary school students in Bosnia and Herzegovina (ASuBiH) – a youth-led NGO dealing with student’s issues through local teams in more than 60 local communities in Bosnia and Herzegovina. He graduated economics at University of Zenica where he was also engaged in student association and Student Union for two years. 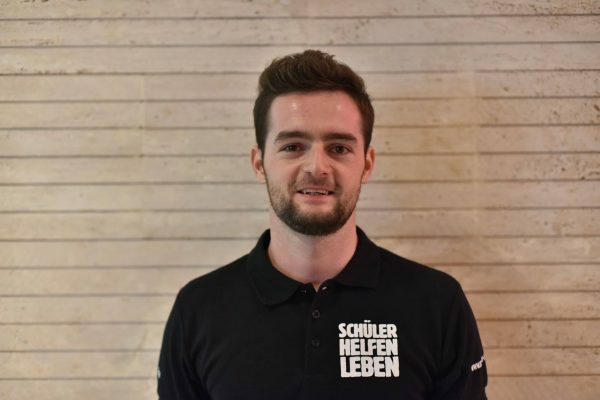 Since joining Schüler Helfen Leben in 2012 he has been developing and implementing different non-formal education programs aiming to enable young people in Bosnia and Herzegovina to take responsibility for societal issues on different levels in Bosnia and Herzegovina. Currently, Adnan is coordinating the Academy for Young Leaders in Civil Society, a service-learning based intensive leadership education program enabling university students to become role-models for their peers through changing local policies of their interest. This holistic approach to leadership education within the Academy program is the subject of his presentation at Point 7.0.